You can find the map for most of today’s 5.35-mile walk here. The rest is here because I was silly and didn’t turn my tracker on right away. Oops. 117 days until the Congestion Zone Ends Party! Follow on Twitter for more updates. I’m going to be honest with you. I didn’t really like today’s walk very much. Some of it was quite pretty but a lot of it was really dodgy and for the first time on a walk (or in my years in London) I actually felt afraid of being alone on the streets. It takes a lot to scare me. I have always felt very much at home everywhere in London. I’m quite used to walking down dark alleys by myself without a second thought, and I’ve spent a lot of time strolling alone through the streets at 3am without feeling worried. I’m always cautious, of course, but I’ve never felt threatened. You can find the map for today’s 4.33 mile walk here. 119 days until the Congestion Zone Ends Party! Follow on Twitter for more updates. NB: Still struggling with computer issues. Fluctuating between an iPad, a borrowed laptop, and a zombie Mac made from mine’s broken body and the hard drive of a laptop that’s been dead eight years. So bear with me if it’s a bit of a mess and a few days late! Today I will attempt to tackle Covent Garden (or half of it, at least). It’s a big task and, to be honest, one I’ve kind of been putting off a little. It’s not that the walking was hard, it’s an immensely easy (and very enjoyable) place to wander around. 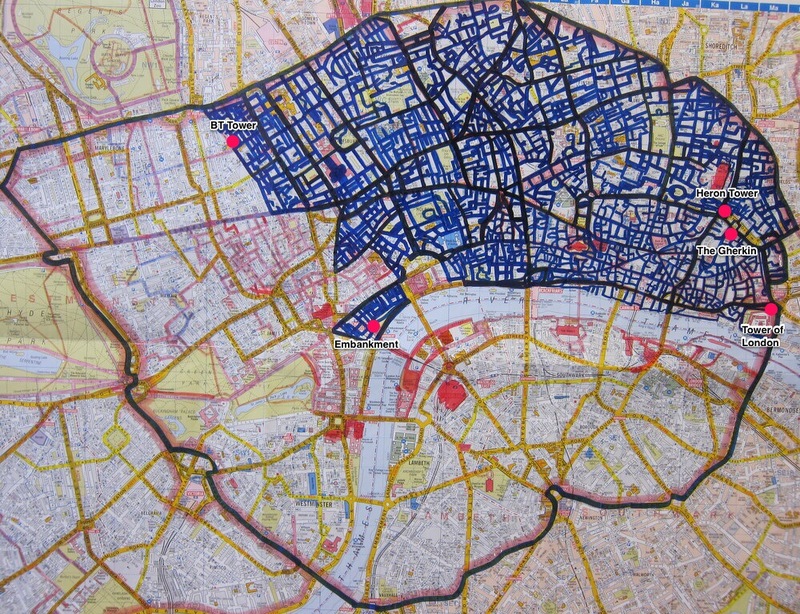 It is also not a very big part of London, so I thought it would be one day of walking, done and dusted. But Covent Garden is incredibly dense and compact. I felt overwhelmed trying to walk every single street while simultaneously looking for hidden things, finding interesting new places, and watching people go about their day. You can really tell the density of a neighbourhood by the time it takes to explore it. Without planning it (or wanting to) I found that I slowed down a lot. I only walked a mile in something like 45 minutes. It was really slow. 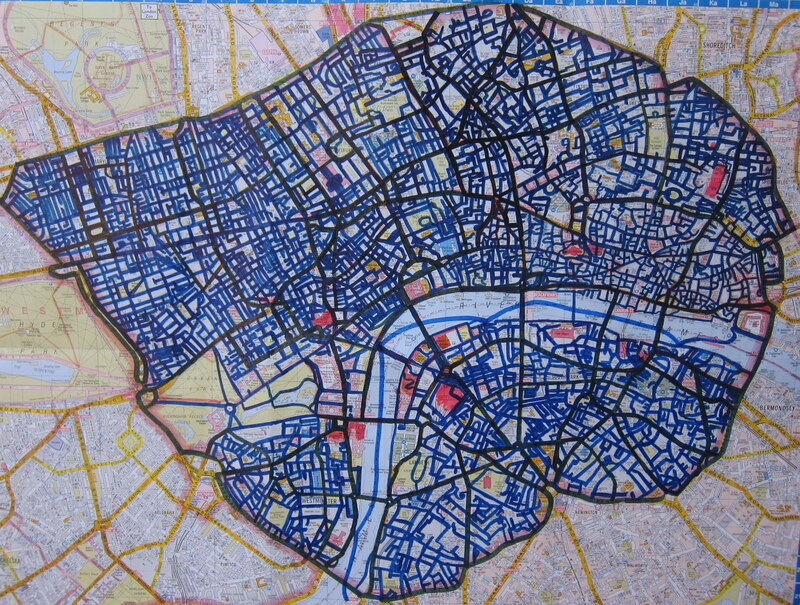 Every square inch is full of restaurants, shops, theatres, people, pubs, and attractions. There’s so much going on and so much crammed into this little space. The overstimulation made the walk really fun but the writing-about-it part a little intimidating. 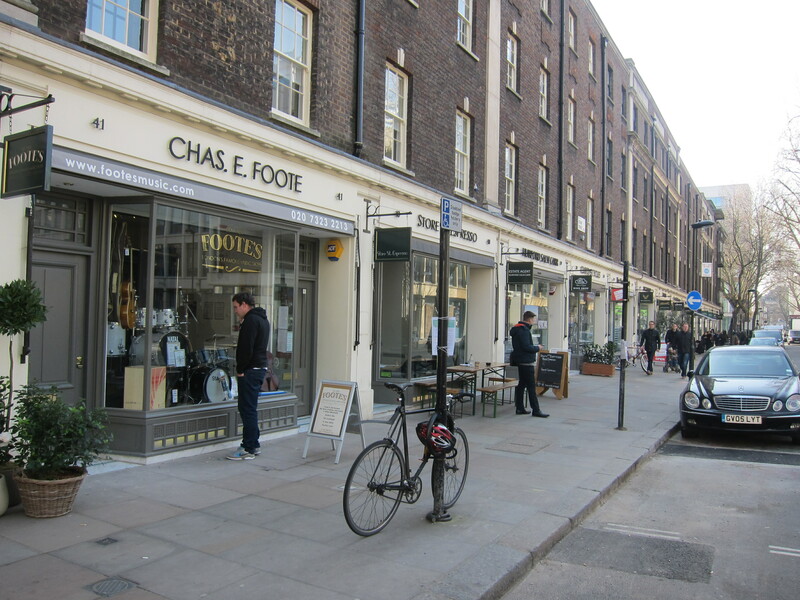 I could spend six months just trying to fully explore Covent Garden and Soho and describe it to you. 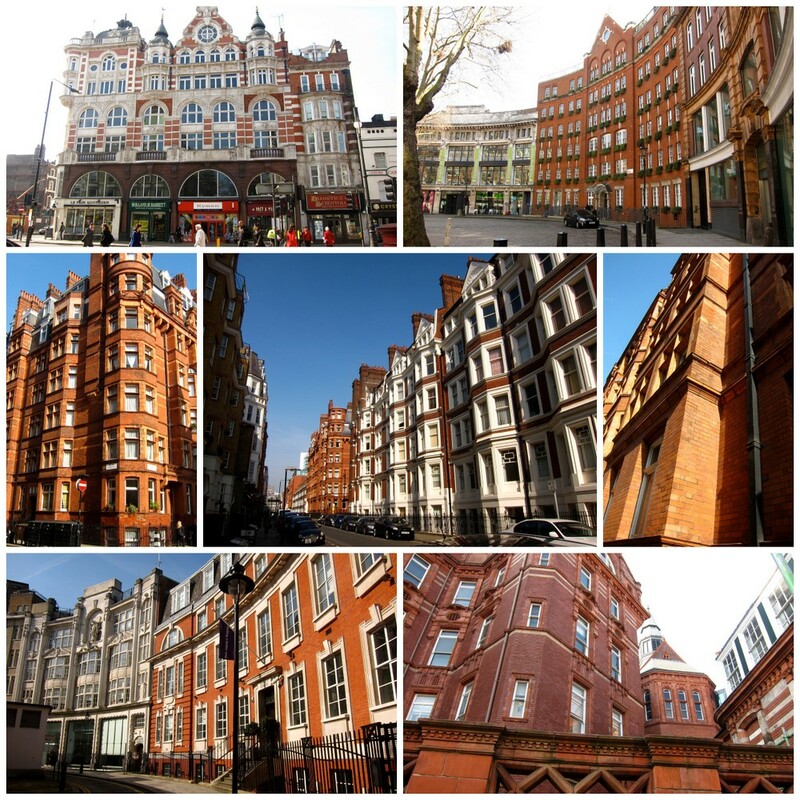 Covent Garden alone has so much history that every building probably has something remarkable about it. It’s more than I can cope with in a couple of posts. So I’m going to give myself (and your eyes) a break and not go into much history of the neighbourhood. There are loads of books out there about this place if history is your bag. I’m more interested in getting a feel for the neighbourhood’s personality now. The area I walked in today has some of London’s most famous (and most visited) attractions. I don’t like to write about big attractions because a) everyone knows about them already and b) they aren’t that different from visit to visit, so my experience will likely be similar to yours (aka boring to read about). I am breaking the rule for the following places though because they break the clichés I try to avoid. These places feel new to me every time I go. You can find the map for today’s 3.83 mile walk here. 123 days until the Congestion Zone Ends Party! Follow on Twitter for more updates. I usually plan my day around where I can get to that day and what I’m doing after the walk. Sometimes that means I end up seeing a little bit of several different neighbourhoods in one walk. It can feel really disjointed because, instead of getting an idea of one neighbourhood as a cohesive whole, I only get a small glimpse before I’m on to something new. It’s a little strange, but the contrast makes things more interesting and the diversity of London really stands out. That’s very much how today’s walk went. It had a little bit of everything. For Day 33 I was in a chunk of London between Bloomsbury, Covent Garden, Oxford Street and Holborn that had a strange mix of atmospheres. I saw a lot of dereliction, a lot of construction, some hideous buildings and some lovely ones. There were a couple of really boring streets and a few that made me almost giddy with excitement. Then there was a lovely present from the universe that ended my walk early but made me a very happy lady. All in all it was a pretty successful day. 125 days until the Congestion Zone Ends Party! Follow on Twitter for more updates. Two bits of news for you today. First and foremost, my laptop died. Probably forever. I crossed my fingers and let it sit overnight but it looks like it might not have helped. Grrrrrr. This will somewhat hinder the process of writing/posting because I’m going to have to cobble together a workspace from various tablet-y devices and borrowed computers. WordPress’ iPad app is abominable so the posts may not be too pretty, and without Picasa I might not be able to put in any collages of lovely places (the most heartbreaking fact for me). But fear not. I will make sure the secrets of London’s streets get to you no matter what. The second announcement, and this is a big one, is that I am walking ALL the streets of London. As an avid reader of this blog you might have already heard that news and you probably already knew what that meant, but after a visit to Heron Tower this week, it turns out that I did know what that meant. I meet a lot of people on my walks and at some point (probably because I’m covered with cameras and markers and maps) they ask what exactly it is I’m doing. Me: I’m working on a project to walk all the streets of central London and share what I find. Stranger: Oh wow. That’s pretty cool. Me: Here, I’ll show you my map. This is where I’ve been already. 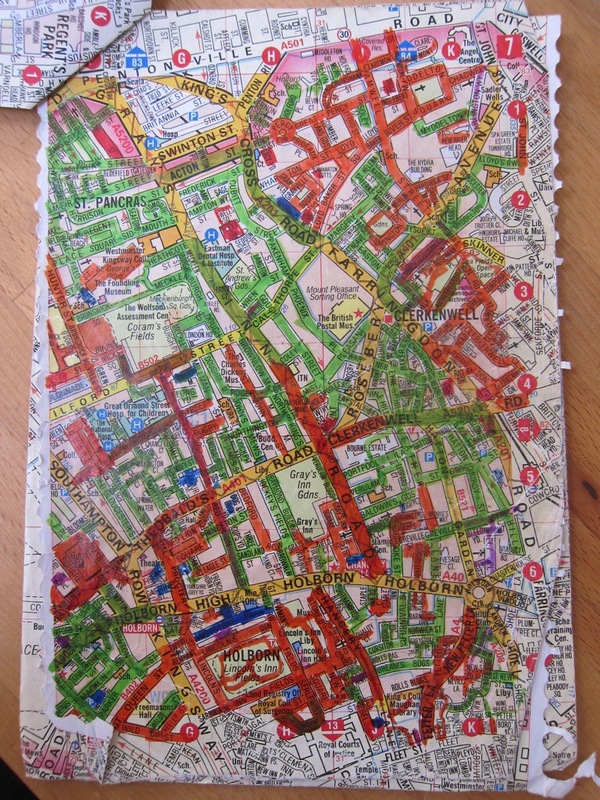 Enter: several pages of a tired, tatty, beaten up map with all the streets coloured in. Stranger: *looks at the map, then at me curiously, then back at the map* Wait, you mean ALL the streets? Them: Like every single one? Them: That’s really cool. *pause* But…why? I’ll leave that last question to my About page to answer (and, hopefully, a FAQ page I hope to get up this week). It’s the “All the streets?” moment I wanted to talk about here. There’s something about seeing the actual map with all the streets marked off that makes it more real to people. It really hits home how much I’ve done and what a detailed project it is. They love interacting with the map too. Almost everyone starts looking to see where we are and for streets they know. We talk about our favourite places, swap secrets and share a lovely, Londony moment before they finally say, “You’re really walking all of this? That’s a LOT of streets”. Maybe it’s because I’m always talking about the project that it doesn’t seem shocking to me. It just seems like the logical thing to do. The Congestion Zone is a big squiggly circle on my wall that slowly gets more and more full of fat squiggly lines. Every walk is one walk. Every street is one street. I don’t really feel the hugeness of the project the way strangers do. At least I didn’t until this week. I visited Heron Tower on Day 7 and loved the view, particularly how you can look down right into the Gherkin. I enjoyed the new perspective of St. Paul’s too and being taller than all the skyscrapers around. That first visit was one of the best moments on all my walks, even up to today. A friend and fellow London addict was in town this week so I thought I’d share the experience with her. I figured I’d enjoy watching her reaction as she saw the view for the first time even though I was sure it wouldn’t give me the rush it did the time before. I stood against the window and scanned the view across the city, checking out the Tower of London, naming the bridges down to Charing Cross, and enjoying St. Paul’s dome. Then something crazy happened and things went all weird in my head: I saw the BT Tower. That tower is not a particularly sentimental place for me and it wasn’t hugely exciting to see it the day I was there (in fact, on the whole, it was one of the more boring days I’ve had). It was just another part of London on another walk on another day, interesting in its way but merely one part of the bigger project. From this view though, I saw that the tower was SOOOOO far away. I could not believe how far away it was. I mean really really far. It was just a tiny spec on the horizon. Click for the full-sized image! When I saw it so far in the distance, it suddenly sank in just how much of the city I have already covered. My mind wasn’t blown by how big the city is or how big the project is or any of that. It’s that I actually saw, in a truly physical sense, how much I have walked, how much distance I have covered, and how many streets there are between Heron and BT Towers. Then a second wave of weirdness hit when I realised that Heron Tower does not sit on the boundary of the Congestion Zone. That meant there was a whole load of city behind me I couldn’t even factor into this new mental equation. It was all a bit much for me, I must say. That moment really changed my perspective on the project as a whole and I felt the difference on my next walk. Instead of each marker swipe being a tick on a map-shaped To Do list, they have become stamps on what I have seen and done, permanent records of an adventure that will now always be a part of my life. Even if I had to stop today, I can now say I’d be impressed with what I have done so far. That’s no small feat for me to admit. If that’s how I felt when I’m not even half-way done, I can’t imagine what it might feel like when I’m sipping a pint with you at my celebration party and it sinks in that I actually did it all. I can’t wait to find out. You can find the map for today’s 3.83 mile walk here. 128 days until the Congestion Zone Ends Party! Follow on Twitter for more updates. I wasn’t entirely sure how to write the post about today’s walk. 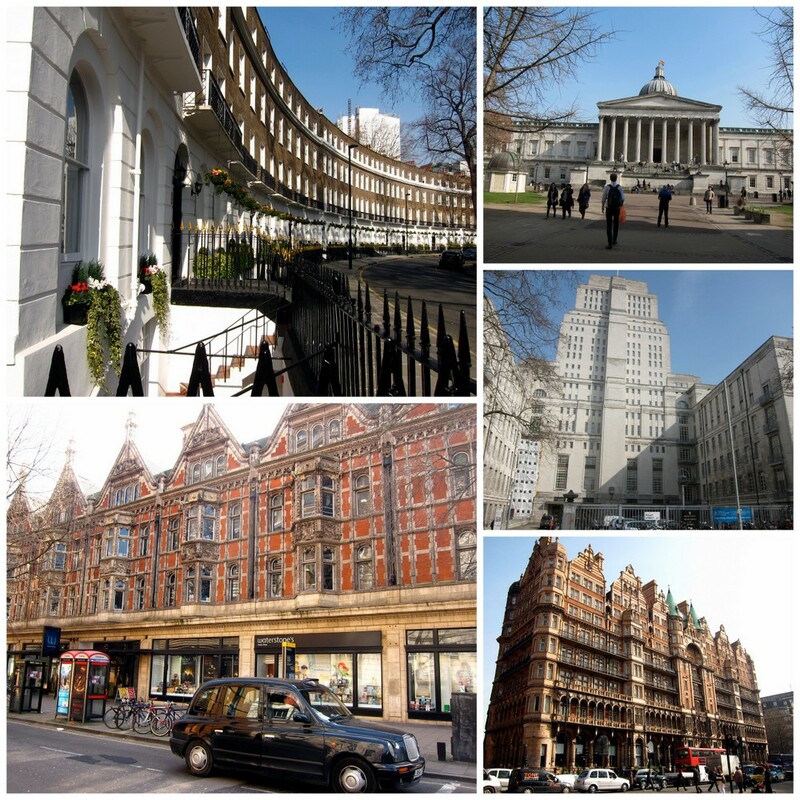 I was in the south of Bloomsbury, out of reach of the beautiful campuses I saw on Day 29, in an area that wasn’t quite as busy or as bustling. I didn’t find the walk itself incredibly interesting while I was on it, so I wasn’t really sure what to tell you about it. 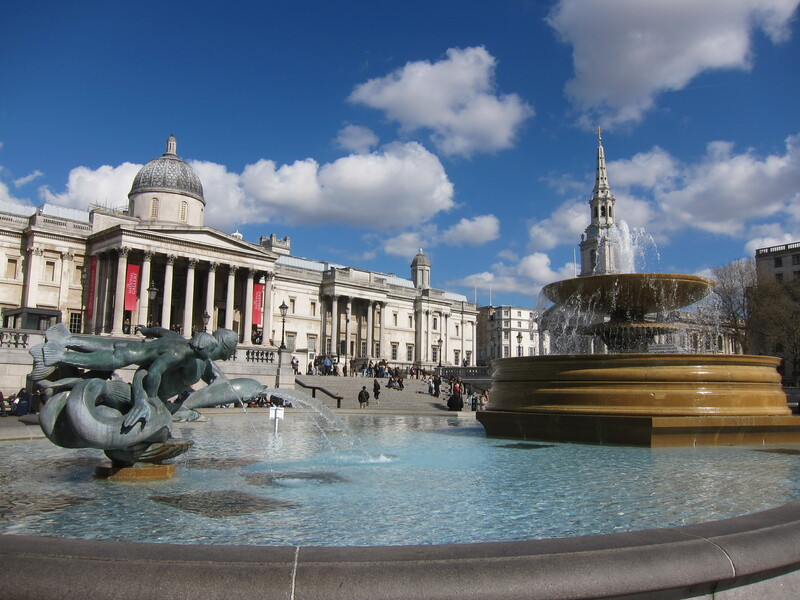 The British Museum, one of London’s most famous places, is here so I obviously had to mention that, but it’s a big, well-known place and it’s not really my purpose to write about the places people already know. My intention is to talk about finding new things and about what pops out to me along the way. After every walk, I research the places that stood out and sometimes in that process the walk starts to take on a new life. That’s exactly what happened today, and I’m excited to share the thread I found that seems to connect everything in the area really neatly, even the British Museum. I had heard The Cartoon Museum existed but I didn’t know where it was, so I was happy that I crossed paths with it today. 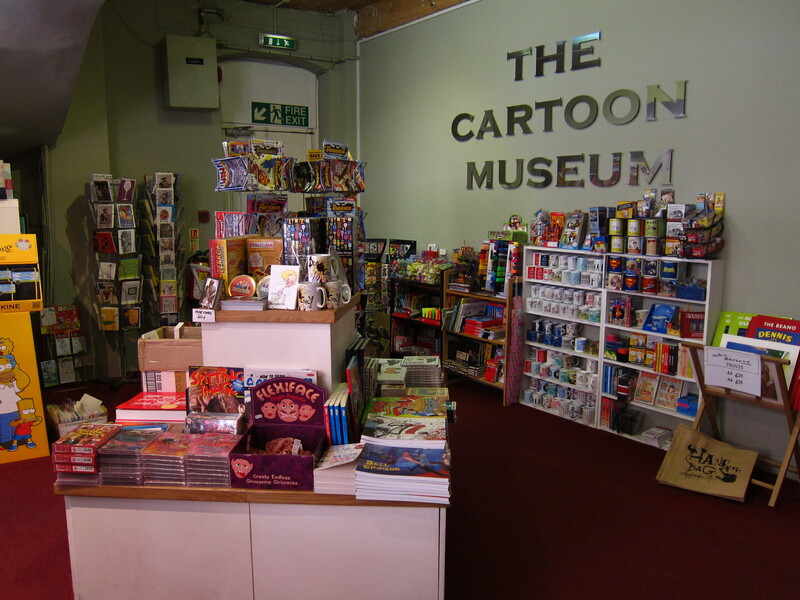 The museum’s purpose is to collect, exhibit, promote and preserve the best of British cartoons and make them available to the world. You can find the map for today’s 6.38 mile walk here. 131 days until the Congestion Zone Ends Party! Follow on Twitter for more updates. I absolutely loved today. I think it was one of the top three days of the project so far. If you’ve read any previous posts you’ll see that one thing I love about London is that there are lots of hidden alleys and teeny tiny crevices and passages to wander down and get lost in. But today was totally different. It was big and grand and majestic. Everything was open, there was space to move and room to breathe, there were people all over the place, and there was so much life happening. Firstly, the weather was phenomenal. So much so, that I really didn’t go inside much at all. It’s a crime to spend any time indoors with weather like this. It was definitely the best day of the year so far. I could not believe how perfect it was. Secondly, Bloomsbury is beautiful. I’m kind of tired of saying beautiful because it seems a little boring but there’s no other way to say it. The ornate architecture and eye-catching buildings really pull you in. You want to study them and look at all the artwork to see what’s carved in the top and what the patterns are. You can find the map for today’s 6.02 mile walk here. 133 days until the Congestion Zone Party! Follow on Twitter for more updates. Today was beautiful in every way. The buildings were stunning, the streets were full of happy people and the sun was out in full force (now a regular occurrence). It was so warm, in fact, that I even abandoned my coat and walked around in *gasp* short sleeves! There’s something magical about this time of year in London. Everyone is just so happy to be able to get out and enjoy the fresh air and gardens. Until now, the majority of people I’ve seen on the streets have been office workers taking their smoke breaks. Now with the change of season everyone is out. People linger outside chatting and take their lunch break as a picnic in the square. The streets are really starting to come alive! Ok this might not be the most “alive” picture but this street (fittingly named Store Street) was actually bustling by midday. It is lined with a series of adorable boutique shops of all specialties from guitars to orchids. You can see why this neighbourhood is aesthetically appealing. The brick buildings were really stunning with the sun turning them all orange. It seemed like every street had something on it that made me stop and appreciate how beautiful London can be (quite different from Day 27 just across the street).